"She is a New Orleans girl and New Orleans girls never live anywhere else and even if they do, they always come back. A Date in the Hand is Worth Two on the Bus? As senior Spring draws to an end and formal season begins, I find myself approaching my 13th and final Dartmouth formal unless you want to invite me to a 14th or 15th?! With so many formals, finding a proper date can be quite an adventure. When I told a friend the theme of this week's Mirror, her immediate response was that I should write about morning after blitz etiquette. From stories overheard in the Hop each weekend, to the quick action against Hanover Police's "sting operations," it's clear that alcohol plays a large role in the campus social scene. Dance Party Delibs: What are the Best Places to Boogie this Spring? Although this week wasn't exactly warm until yesterday, (and the weather is still considered freezing to those of us who went south for SB2K10) we're officially two weeks into the spring season, regardless of the temperature in Hanover. Point: Is it good to gossip? Gossip. We've all heard it and we've all spread it, but at the end of the day how does it really affect our lives? In the busy lives we lead at Dartmouth, it's easy to take things for granted and accept them as the norm. Welcome to 2010! 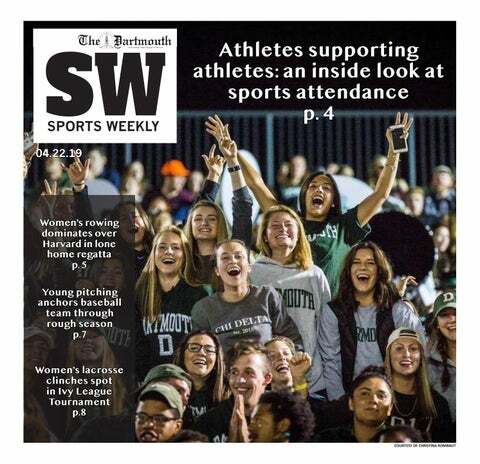 While you were slaving away in the corporate world over the summer, saving Africa during your off-term or just finishing up your last year of high school, you likely missed a beat or two of the campus drama over the past year so let's get you up to speed on a few of the biggest news stories at Dartmouth in 2009. President Kim. The sun is out but classes are in full swing as we finish week four of the best 10 weeks of our lives.